Isuzu started as a company in 1916 and produced the first automobile in 1922, a Wolseley A-9 under license from Britain. Isuzu, the name of a local river, was first used as a name on a truck produced in 1934. The company was renamed "Isuzu Motors Limited" in 1949. Industrial engines for use in construction machines, forklifts, generators and boats came on sale in 1952, light-duty trucks in 1959, diesel engined trucks in 1960, medium-duty trucks in 1966, heavy duty trucks in 1994 and busses in 1996. GM had part ownership of Isuzu between 1972 and 2006. Isuzu built Chevrolet LUV was the first Isuzu built vehicle sold in the United States and the Model Year (MY) 1982 Isuzu P'UP was the first Isuzu sold in the United States under its own name brand from 1981. Some Isuzu engines were used on smaller GM cars and trucks, rebadged Opel Kadett coupe's were sold as Isuzu Gemini's and other Isuzu's were sold as Geo's; a sub-brand of Chevrolet, in the US. 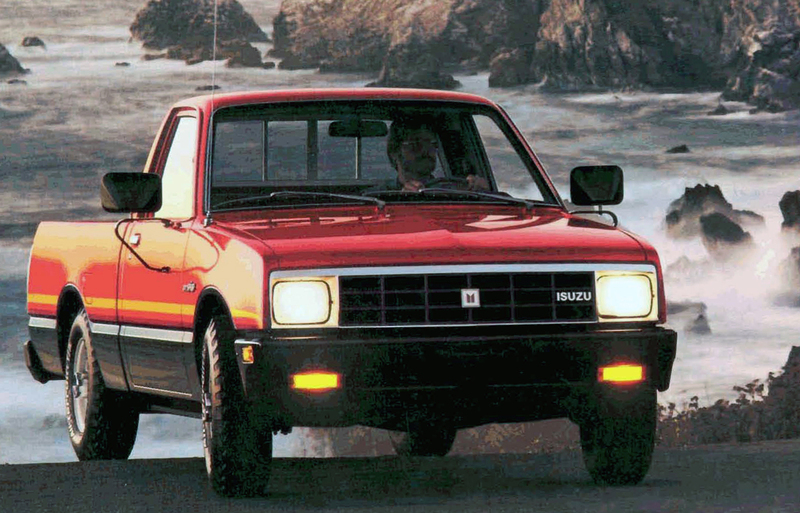 Other Isuzu's sold in the US were the Isuzu Rodeo sold as a Honda Passport and the Isuzu Trooper sold as an Acura SLX. The body on frame Isuzu Axiom, a mid-size SUV, were on sale from 2001 - 2004, being succeeded by a rebadged Chevrolet Trailblazer sold as an Isuzu Ascender. Chevrolet Colorado/GMC Canyon was rebadged and sold as the Isuzu i-280, i-290 and i-350 from 2006-2008, when Isuzu ended the passenger vehicle operation in the US market in the start of 2009.